Parting is such sweet sorrow . . . Not! Smoke the competition as you speed away in the Zoot Ovwa 2.0! ; Successor to the Ovwa (no longer available) . A racing flat built for the moderate overpronator who requires a combination of enhanced cushioning and stability. Breathable mesh upper with lightweight synthetic overlays. Tri-Dry technology minimizes moisture retention. Tongue and heel pull for an easier on and off. Breathable fabric lining for a great in-shoe feel. Molded foam insole supplies light underfoot cushioning. Dual-density midsole delivers enhanced stability. 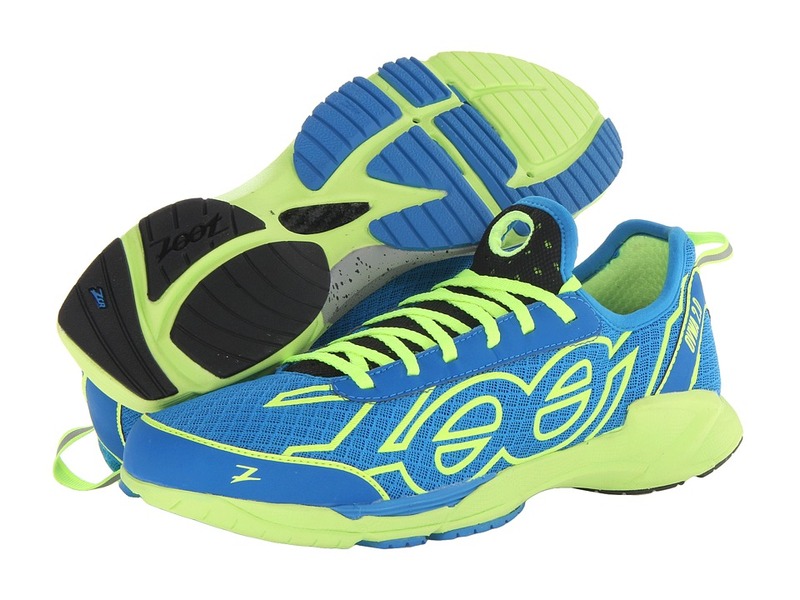 Full-length Z-Bound midsole provides maximum cushioning. Carbon Span+ guides transition to a smooth powerful toe off. Midsole Height: Heel/ Forefoot: 19mm/ 9mm. Differential: 10mm. Stability posting for added support. ZCR rubber in the heel for durability in this high-wear area. Imported. Measurements: ; Weight: 11 oz ; Product measurements were taken using size 11.5, width D – Medium. Please note that measurements may vary by size.